We offer a wide-range of railcar and locomotive services. JBC Rail Services provides a network of railcar service related facilities and offerings. We offer support to our customers by providing a central point of contact for many distinctive services. JBC Rail Services has increased the variety of services we offer based on the requirements and needs of our customers. 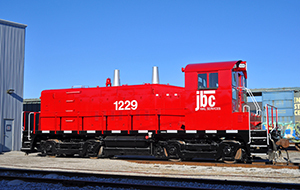 JBC Rail Services is the one-stop-shop for all of your railcar and rail service needs. We have spent years developing a network of strategically located railcar service offerings, providers and facilities. We use this network to provide top quality offerings to the rail industry.